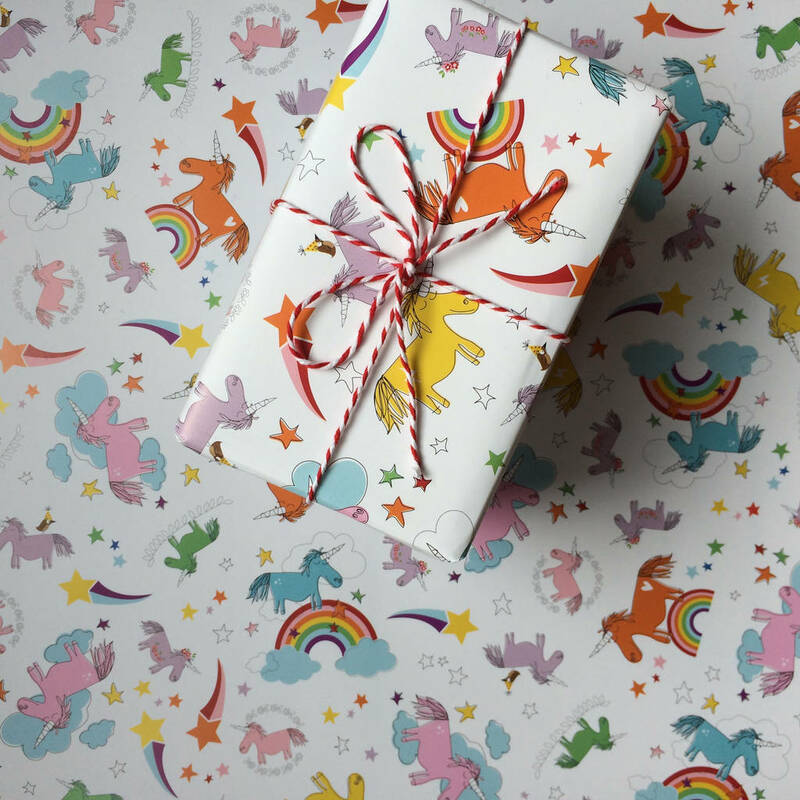 Quirky unicorn wrapping paper or a gift wrapping paper and card set to add magic to new baby gifts, birthday gifts and gifts for friends! 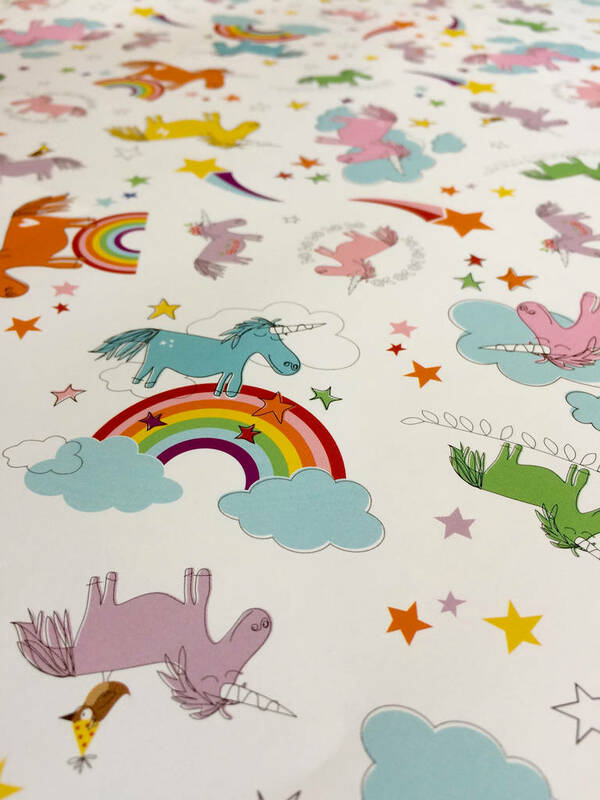 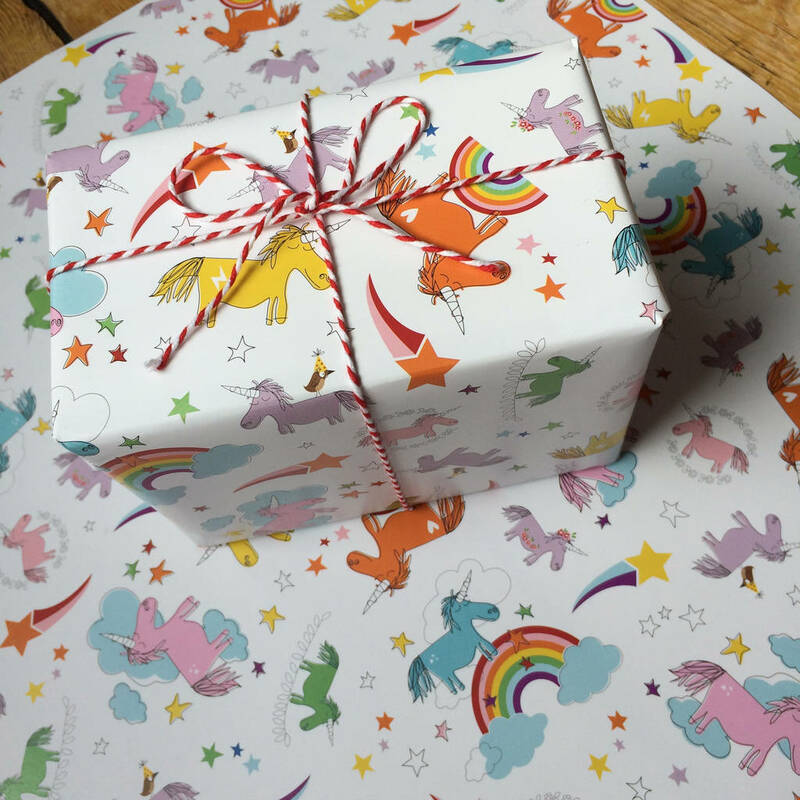 This illustrated rainbow and unicorn gift wrap is a great finishing touch to a unicorn gift or when wrapping a gift for unicorn lover! 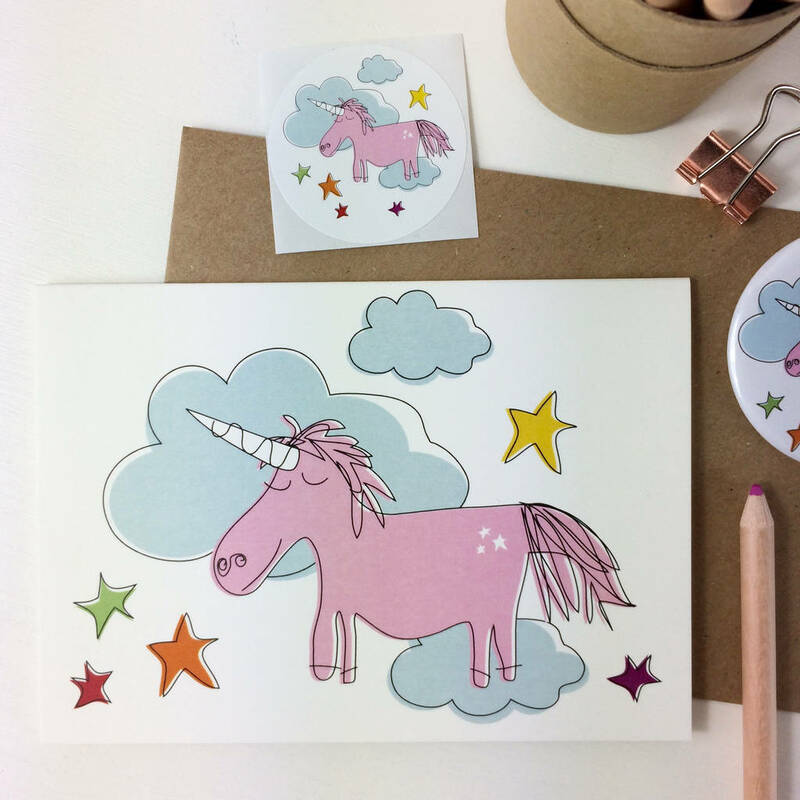 It's quirky and cute which will help your thoughtful gift to stand out. 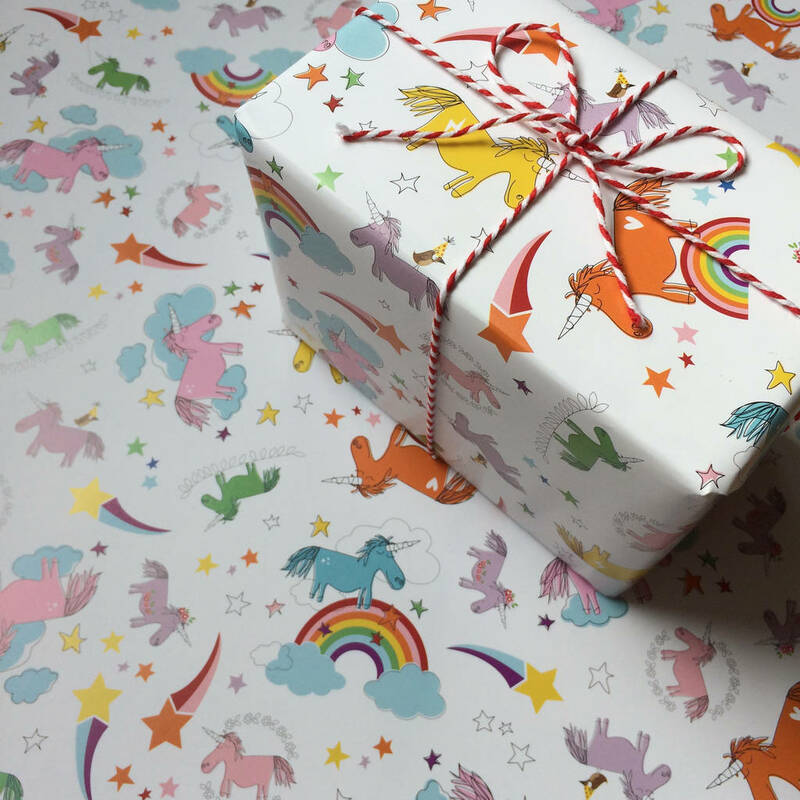 Available as 2 folded sheets, 4 folded sheets, 5 or 10 rolled sheets sent in a tube or as gift wrap set which includes two sheets of standard sized gift wrapping paper, 50 x 70cm and a unicorn card with sticker. This gift wrap design is great for a new baby or birthday gift. 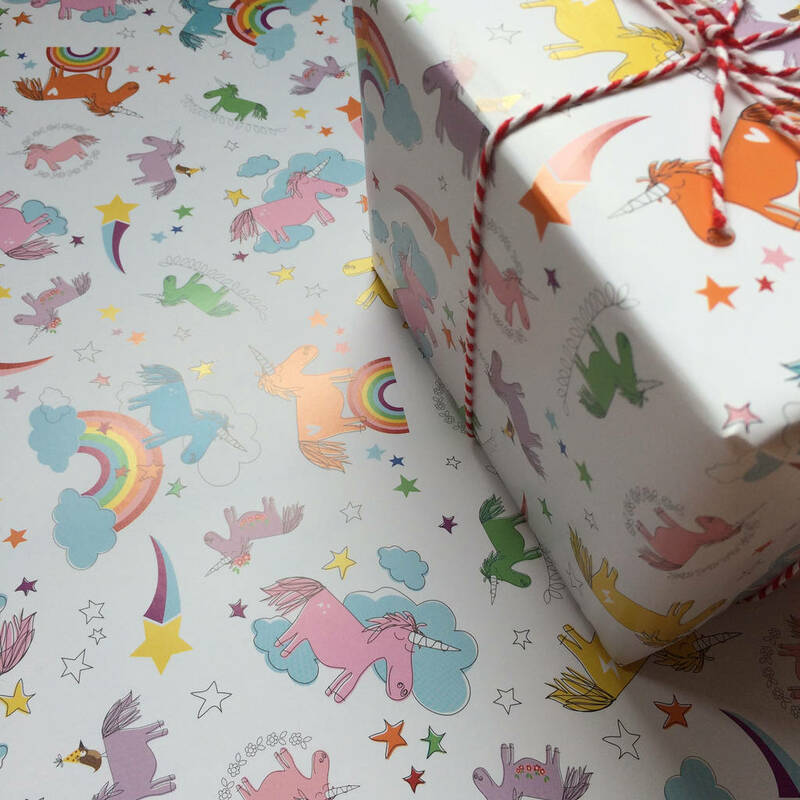 Printed onto 100gsm paper stock with a gorgeous matt finish this wrapping paper is thick enough not to rip and not too thick to stay stuck down which is satisfying when wrapping! 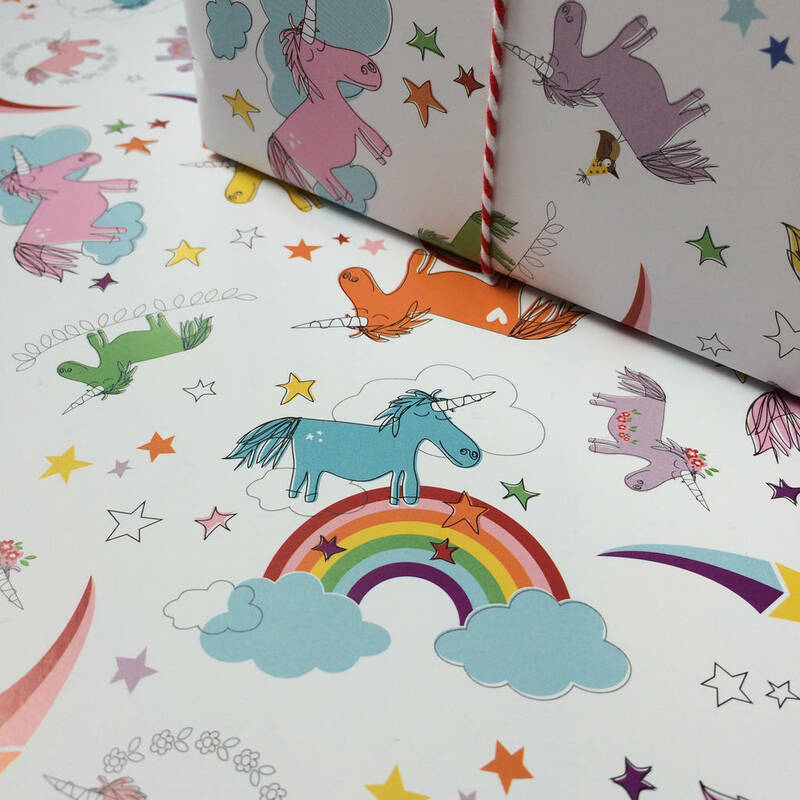 Quality 100 gsm matt finish paper stock.